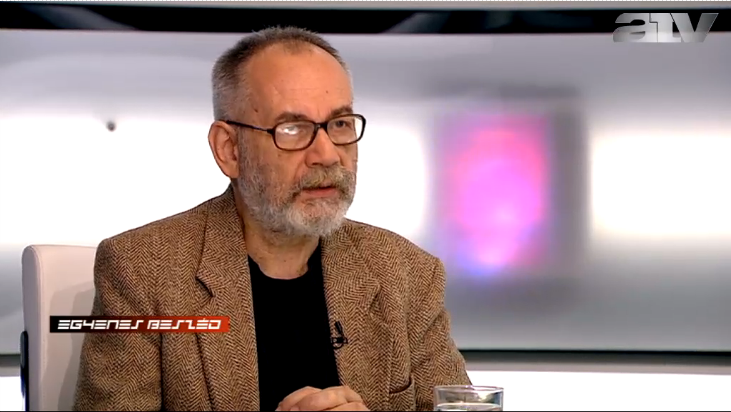 Gáspár Miklós Tamás, a prominent Hungarian political philosopher summarized on ATV’s Straight Talk (Egyenes Beszéd) program what key ideas form the pillars of the new regime that Prime Minister Viktor Orbán announced in his speech at Tusnádfürdő/Băile Tușnad, Romania, when Mr. Orbán spoke with great enthusiasm about the final demise of liberal democracy in Hungary. The government seeks to build an illiberal state, characterized by the eradication of all remaining checks and balances in the Hungarian political system. Mr. Tamás reminded viewers of Mr. Orbán’s bizarrely honest reaction to the American institution of impeachment, and the fact that the Senate can hold to account a president who over-steps his authority and abuses the powers invested in his office. The Hungarian prime minister indicated that he would never tolerate these types of restrictions on his activity by any elected body. Mr. Tamás added that this past weekend, the Hungarian prime minister candidly expressed his doubts in parliamentary democracy, as such. Mr. Orbán announced that the principle of human rights is outdated. The Hungarian prime minister declared that Hungary must break with the practices of the welfare state. Finally, Mr. Orbán suggested that the political models closest to his worldview are those found in authoritarian countries like China, Russia and Singapore. In a final attack on civil society, Mr. Orbán noted that NGO’s and charities operating in the country are the insidious agents of foreign interests. Mr Tamás reminded viewers of the words “arbeit mach frei,” (work will set you free), a German phrase used by Nazis during the Holocaust, in his discussion of what Mr. Orbán referred to as a “labour-based state.” This type of state stands in sharp contrast to the principle of social justice and has no regard for those living on the margins of society. While in a free country and in a society where solidarity is valued, there would be mass demonstrations upon hearing Mr. Orbán’s plans, in Hungary there is almost only silence. The philosopher added that Mr. Orbán would not likely leave his position of power and could not be voted out of office. The consensus among a growing number of thinkers in Hungary is that Mr. Orbán’s regime is here to stay for the long-haul. This then begs the question: what strategy will Hungarian opposition parties devise, if there is no real chance of ever removing the Fidesz government through a free and fair election? I agree with RonaGyuri. Not at all new. What is new here is his temerity to announce his plans to the whole world. TGM said Orban was declaring his cards. Everyone already knew his cards. And TGM said that those (like TGM) with critical views should continue to think and speak them. Of course they should. And that the bottom 4 million were bound to revolt sooner or later. Sympathetic as that still sounds to the ears of those (like me) who still believe in social and economic justice, it’s really just rewarmed Marxian hermeneutics. No real content. Nothing practical. No new insight. Just the ideology that TGM faults the illiberal Fidesz gangsters for lacking. But that’s not all those gangsters lack. They also lack all scruples — or know-how for anything but getting and holding power. TGM’s heart is probably in the right place. But he has nothing to offer but oratory. Let’s hope that decent Hungarians don’t have to keep waiting for a revolution, but that Europe will cut the purse-strings and the consequences will at last turn the electorate against Fidesz /Jobbik and toward the democratic parties that have the EU’s confidence and still share “European” values. If it instead propels the electorate even deeper into Fidesz /Jobbik’s thrall, then maybe Orban will fall as F & J duke it out in Round II. Once Orban falls, let’s hope the demonic spell will be broken. If not, Hungary is lost (and Orban was not even the culprit). And Orban will have been a creation of Hungary, rather than just its destroyer. What WAS NEW about Orban’s speech was his no-nonsense attempt at clearly and unequivocally stating his position. In the form of his statement it is unlikely that he will be able to reneg or reinterpret his position for a foreign audience. It appears that finally we would be able to take his word for his position on his definition of democracy and the related issues he mentioned. For once what he said and his previous actions were in unison. No doulbe talk, no nonsense. It is always useful to be able to pin down your opponent. After his 2/3 majority power for a second time in parliament and his intended rearrangement of the voting powers in the Budapest City Council he has no doubt of his plenipotentiary powers. He speaks from a position of undeniable authority, however deviously it might have been attained. As regards T.G.M.’s (Mr Tamás’) perceptive analysis, it was was that the latter was able to summarize the meaning of the Orban speech in terms that would be meaningful for all to undersand and the depth and width of its implications for the future. It is quite conspicuous that you all think there’s nothing new. Well, it remains to be seen. TGM: What can give you hope? Maintaining and the demonstrating the notion of Freedom and Equality could give one hope. We can’t stop, even if we are not many, even if we are weak. 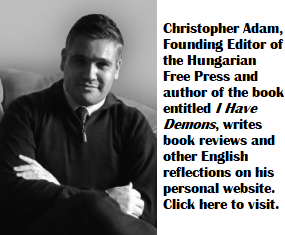 We can maintain the continuity of Hungarian freedom. We can maintain the continuity of 1918, 1945 and 1989. These belong to us, no one can take them away from us. We might have to face a few difficult decades. However, if we want to stay moral and if we want to maintain a culture of freedom, we need to keep on repeating our clichés stubbornly without giving up.